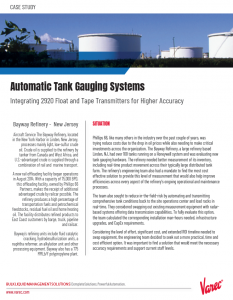 The FMR533 Radar Tank Gauge (RTG), with an accuracy rate of ±0.5 mm and ideally suited for custody transfer applications, is used for continuous, non-contact level measurement in bulk liquid storage tanks. The FMR533 RTG with parabolic antenna is excellently suited for free space applications up to 40 m (131 ft). The parabolic antenna is the largest free space antenna with the smallest beam angle. 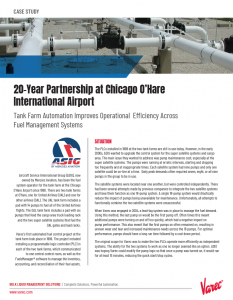 It is ideal for applications close to tank walls, where a manway cover is available. The parabolic antenna is also an excellent choice on products with a low reflectivity, such as asphalts and bitumens. 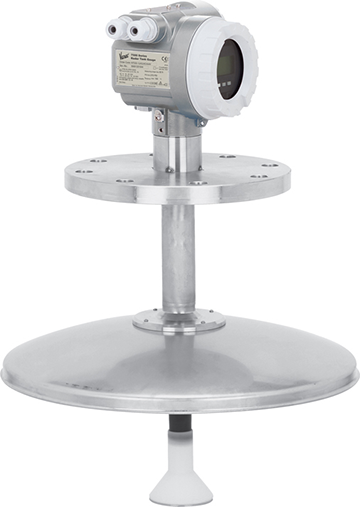 FMR533 RTG uses C (6 GHz) band microwaves to measure liquids to an accuracy of ±0.5mm (0.02″) This gauge is NMI and PTB approved for use in custody transfer tank gauging systems. Easy onsite operation using built-in touch control display without having to open the enclosure. A remote display is also available so that you can read and operate the gauge from the tank side. 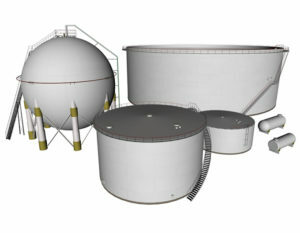 Intrinsically safe 4-wire technology reduces on-tank wiring costs and allows easy implementation into existing systems. 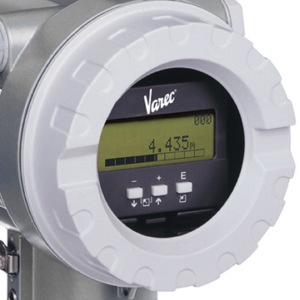 Each radar gauge is approved for use in explosion hazardous areas to FM, CSA and ATEX standards. Cost‐effective intrinsically safe — 4‐wire cable for HART and 24 VDC i.s. power. Easy on‐site operation using built‐in display. 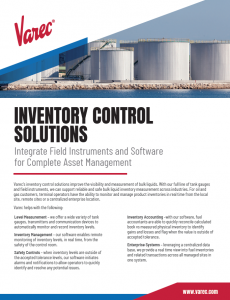 Easy commissioning and diagnostics using Windows® based software. Inventory control version with available (±3 mm) accuracy. Max. 330 mW at 16 V, max. 500 mW at 24 V, max. 600 mW at 30 V.
Max. 21 mA (50 mA inrush current). IP 65, NEMA 4X (IP20, NEMA 1 with open housing and removed liquid crystal display) Housing T12: separate terminal compartment for increased safety respectively explosion proof. See specifications document for more information. Contact Varec for more information. 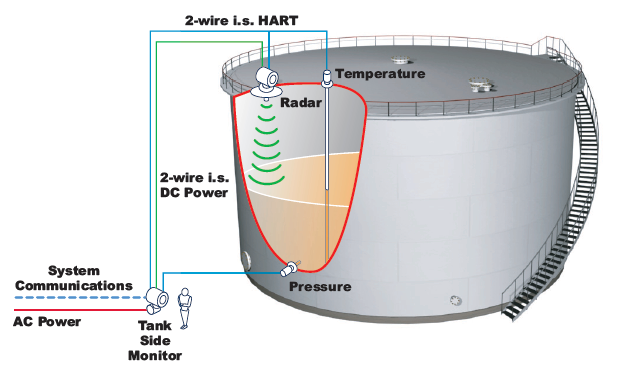 Checklist for Radar Tank Gauging needs. Checklist for Temperature Tank Gauging needs. Please visit the Endress and Hauser website to access the technical manual and operating instructions for the FMR533 Radar Gauge. Technical specifications for the model FMR533 Radar Tank Gauge.